This former municipal slaughterhouse was rehabilitated (extension and renovation of the cutting room, refurbishment of the roof...) and taken over in 2004 by the SIVOM de l'Oisans in the 6 valleys (now the Oisans community of communes). The OCC leases the premises to the SARL Abattoir de l'Oisans (6 co-managing farmers) as part of a public service delegation. 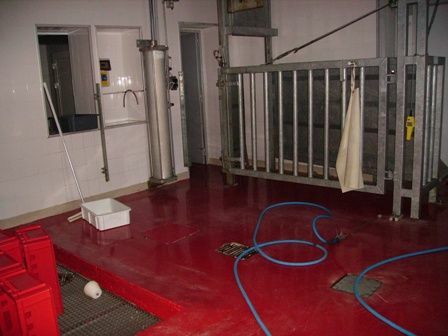 The slaughterhouse was certified to the CE standard in 2010. In total, 60 to 80 operators use the slaughterhouse.